In this section, we present our picks for the 20 greatest books for kids ages 10-11. It’s part of our series on the 100 Best Children’s Books of All Time. Published in 1999, “Bud, Not Buddy” won the Newbery Medal for Excellence in American Children’s Literature in 2000. The story is about a ten year old orphan bouncing around the orphanages and foster homes of Flint Michigan during the great depression, 1936 to be precise. Eventually, fed up with the poor conditions of unfair foster homes Bud runs away, heading up to Grand Rapids Michigan to find a man he believes to be his father. This is a story of heartache and hope, determination, and love. The book has been lauded for the accurate picture it paints of the Great Depression, and the lessons it teaches about race and shared humanity. This book deals with the concept of immortality and its possible positive and negative sides. 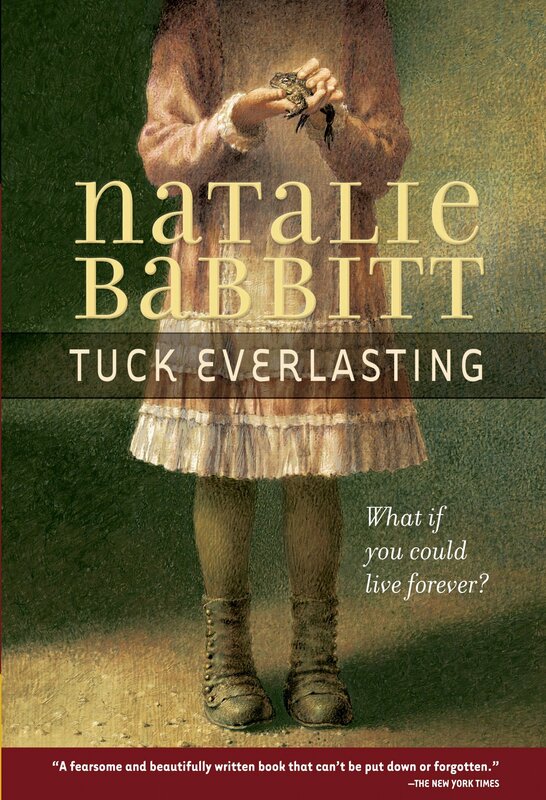 Tuck Everlasting was published in 1975 and is considered a classic of children’s literature. The story centers on a family that lives in a rural area and owns a piece of land with a magical spring. The spring grants eternal life to whoever drinks from it. This has caused problems for the family but they have a system worked out. Things become complicated whenever other people, such as Winnie, the main character, become involved. She is thinking of running away from home and happens upon the spring and one of the Tucks (the family the partakes in an guards the spring). Throughout the story outsiders threaten the family’s secrets and they must make difficult decisions to protect the spring. This classic story features complex moral dilemmas and difficult situations, some with no clear answers or solutions. This lovely piece of historical fiction is a genuine representation of the life of Jewish Immigrants in New York City at the turn of the 20th century. The book and story may have an old fashioned feel to it but the underlying issues in the book are timeless. All of a Kind Family is a sort of memoir-fiction hybrid, loosely, though not completely, based on the author’s life. The book won the National Jewish Book Award for Children’s Literature when it was published in 1951. The book become so beloved by the Jewish community, the award it won was eventually named after the author. This children’s literature series is characterized by its dark humor. Three children are orphaned when their wealthy parents die in an arsonous fire and are sent to live with their distant cousin Count Olaf. Olaf is evil and selfish and sets out to steal their inheritance. Eventually they get taken away from Olaf but he and his cohorts pursue them trying to kill them in various ways. While the children come through relatively unscathed, many other characters die protecting them from Olaf. The book is an adventurous story filled with dark humor as the children attempt to stay one step ahead of Olaf while trying to find the truth behind their parents’ mysterious death. The book has won numerous awards and was turned into a major motion picture. This book is truly incredible. At over 500 pages long more than 250 of those pages feature beautiful illustrations. The prose and illustrations work together to tell the amazing story, based on the life of French filmmaker Georges Milies. The book is every bit as inventive as its subject, and won the Caldecott Medal, the first novel ever to do so as the medal is for picture books. The book was published in 2007 and Martin Scorsese purchased the movie rights to the book that same year. The movie was released and received by critics with excitement and praise, garnering 11 academy award nominations in 2012. This is a unique book that tells a unique story of an incredible genius unappreciated in his time. It is written to inspire the reader regardless of age. This novel picks up just before the American Revolutionary War. The main character Johnny Tremain is a silversmith’s apprentice until an accident ends his career. Eventually Johnny ends up at a print shop that supports Whig (pro-revolutionary) politics after becoming a Whig himself. The book does a great job introducing children to pre-revolutionary politics and Johnny crosses paths with some famous figures from that time including Samuel Adams, John Hancock, and Paul Revere among many others. The book ends with the Battles of Lexington and Concord and the aftermath that immediately followed. Grimm’s Fairy Tales is one of the oldest published books of children’s literature still published today. The book was originally printed with 86 stories in 1812 and was followed by a second volume of 70 stories a few years later. The final edition contained over 211 stories and is considered to be one of the greatest works of literature in history. One of the trademarks of Grimm’s fairy tales is their darker tone. In fact debate about age appropriateness has always followed these books wherever they go. The tales have been interpreted in many convoluted ways over the years but it is often said that how one interprets such fanciful tales often says more about oneself than the true meaning behind the story. These books changed everything. When the first book in this seven book series, “Harry Potter and the Sorcerer’s Stone”, released, reading had begun to grow unpopular among preteens and teens. This series ignited a revolution in the juvenile fiction market which has caught on. Never before has the market been so healthy. Not only are these books popular with kids, they get their due from literary critics as well. The series has sold more than 450 million copies in over 75 languages worldwide which is nothing short of staggering. If you calculate the value of the brand including the seven books, eight major motion pictures, board games, toys, etc. the brand is worth over $15 Billion. Harry Potter revitalized a children’s lit market that was losing steam and turned into an international phenomenon in the process. Holes was published in 1998 and promptly won the 1998 U.S. National Book Award for Young People’s Literature. In 1999 Holes won the Newbery Medal. The story is that of a teenage boy that is wrongly accused of stealing a pair of shoes. He gets sent by the judge to a juvenile corrections facility called Camp Green Lake, which is in the middle of a desert with no green or lake to be seen. The story features many situations that communicate the importance of standing up for yourself and others. Stanley forms unlikely friendships and manages to figure out the goals of the people running the place, and it has nothing to do with corrections. 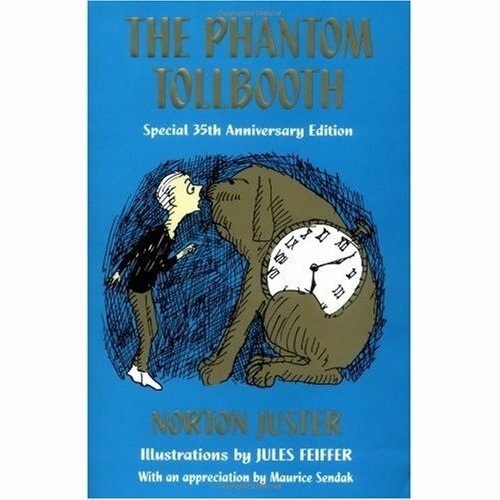 Published in 1961, The Phantom Tollbooth is an acclaimed work of children’s literature. The book combines the elements of adventure stories and fairy tales with a modern perspective. The story centers on a bored boy who believes almost everything is a waste of time. The story that follows is an allegory for life, the challenges we face, and the efforts we must make to overcome those challenges and find our way through life. The School Library Journal has named it among the Top 100 Chapter Books of All Time. This series of 23 novels follows the adventures of various woodland creatures. The stories feature everything from marauding wildcats to foxes leading raiding parties, to badger lords, and it all centers on Redwall Abbey. Sometimes the Abbey is under siege, in others some residents of the abbey may be called away on adventure and become heroes. Some of the books don’t feature the abbey at all though they take place in the same world. Brian Jacques has been described by some critics as the best children’s author ever. His celebrated work has capture the hearts and minds of generations of children. The author has been compared to the likes of C.S. Lewis and J.R.R. Tolkien. These books are among the most enchanting, wonderful novels available to children, teens, and adults. 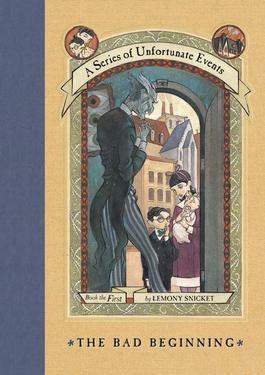 This series is one of the most popular children’s book series of all time and has sold more than 50 million copies in over 20 languages. The books take place in Canada, on Prince Edward Island, where the author grew up. Indeed Montgomery was inspired by the true story of a family adopting a child and being sent a girl instead of a boy by mistake, but then deciding to keep her. The author also drew heavily on her own experiences growing up on Prince Edward Island which lends the book its feeling of wholesome authenticity. Published in 1908 the books have only gained in popularity over the last century. This autobiographical series follows the life of Ralph Moody. The first book in the series picks up when the family has just moved into the vicinity of Littleton Colorado. Ralph, or Little Britches as he is called is an adventurous child with an affinity for horses. The book is a heartwarming story of life on the frontier and the personal triumphs and tragedies associated with living such a life. The book is full of roundups and trick riding, ranching, challenges and above all, the message that family is important. Later, Ralph deals with losing his father and helping his mother to care for his siblings as the man of the house. This book deals with the struggles of Mexican immigrants to the United States during the Great Depression. They struggle to adapt to a new home, new culture, language, and circumstances. The book takes place both in post-revolutionary Mexico, and California. The story centers on Esperanza, a young girl whose father, a well off rancher, is killed by bandits. After this happens a loophole finds Esperanza and her mother excluded from inheriting the ranch, the family’s primary source of income. Eventually Esperanza and her sister Ramona end up in a Mexican laborer camp in California struggling to survive. This book offers a unique take on the Great Depression and a look into Mexican culture and history. Esperanza Rising was well received by critics and won numerous awards including the Willa Cather Award and the Pura Belpre Medal. Owning, caring for, befriending, and ultimately losing a pet is a common part of childhood and, indeed, life. Many children learn about the cycle of life through their pets. This moving story about a boy and his two Redbone Coonhound hunting dogs is moving and intense. Where the Red Fern Grows is a great work of children’s literature. The book had a slow start as companies didn’t recognize its value in the children’s market initially but after it was presented at a conference for librarians, who recognized its appeal to children, it began to gain in popularity. Every year since this happened in the late 1960s the book has continued to perform better every year and has been cemented into the consciousness of modern children’s literature as a classic. This World War Two novel takes place during and in the aftermath of the Battle of Britain and reminds us that shared humanity can transcend conflict. The story centers on a boy named Peter and his tomboy friend Kim. During a bombing run a german fighter plane is shot down and the pilot bails out. The children find the injured soldier and consider turning him in but decide to help him out and nurse him back to health. They realize that he’s really not so different from them. This subversive truth is important, especially in this day and age where it’s all too easy to treat other people from other places as statistics. Children reading this book will come, like Peter and Kim, to learn that shared humanity is an powerful thing. This wonderful piece of historical fiction was first published in 1936 and won a Newbery Award that same year. Over two decades later, in 1958, the book was honored again, this time by a Lewis Carroll Shelf Award. Caddie Woodlawn is set in 1860s Wisconsin. As a younger child she’d barely survived the journey to Wisconsin from Boston. Over the course of a couple years Caddie goes from being sickly to being hale and healthy. She has numerous adventures, some bringing her quite close to death as frontier adventures commonly do. Through it all she learns lessons about life, love, friendship, family, loyalty, and exhibits an inspiring, if occasionally dangerous bravery. This historical fiction work follows the story of Annemarie Johansen and her family in Copenhagen, 1943. The book details her family’s efforts to help Jewish people on the run from the Nazis escape to Sweden through Denmark. She and her family shelter her best friend Ellen Rosen, pretending she is Annemarie’s deceased older sister Lise who died working with the Danish Resistance earlier in the war. 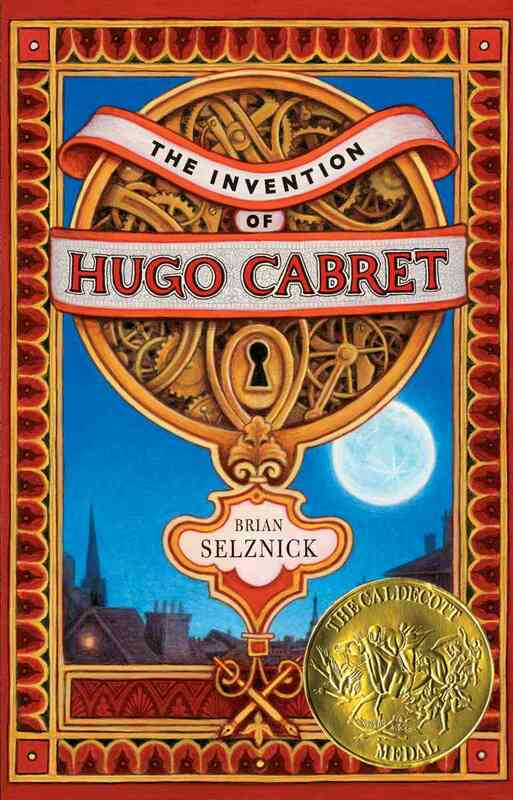 The book was published in 1989 and received a Newbery Award. Number the Stars is a great book for slowly introducing children to the events of World War II through the eyes of somebody with whom they can identify. It’s a difficult subject but this book handles it unflinchingly. This book was, like many of its time, first published as a serial, in 1910, but was published as a novel just a year later in 1911. Burnett wrote many children’s books, including Little Lord Fauntleroy and The Little Princess among 29 other less notable works but The Secret Garden has always been considered her greatest achievement. The book was a progressive work, championing common sense and reason over conventional accepted wisdom that pervaded provincial medical practice in that day. The story weaves in many other themes about family, friendship, life, death, regeneration, and magic. 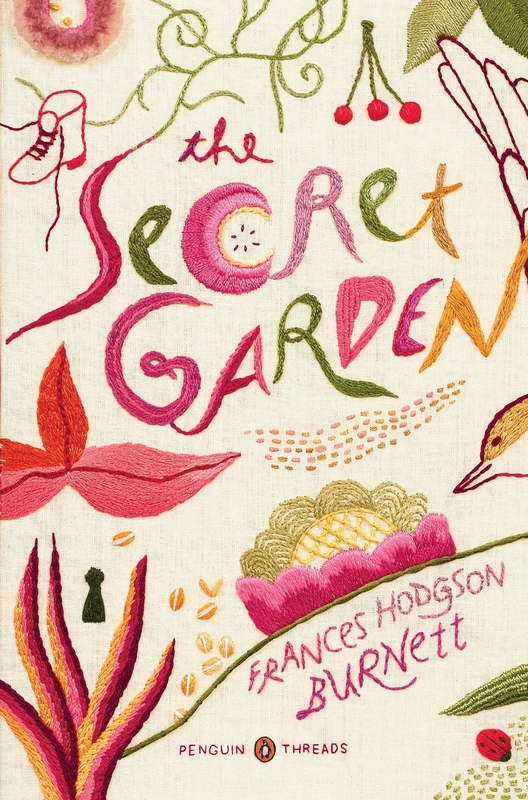 Overall the Secret Garden has been considered one of the staple works of classic children’s literature for over a century. Published in the late 1860s, Little Women is a seminal work of children’s literature and one of the most notable coming of age stories ever written. The book deals with life broadly and throughout the ages has been read any number of different ways. The book was revolutionary and paved the way for the children’s novels that would follow over the next century and a half. Some have said that Louisa May Alcott introduced us to the All-American Girl in this novel. The book’s plot centers on four sisters ages 12, 13, 15, and 16. The book follows the sisters’ interactions with each other and a broad cast of characters, and each sister comes to personify a different archetype of woman from that time.